Ed Sheeran has finally settled a $20 million plagiarism lawsuit out of court today. 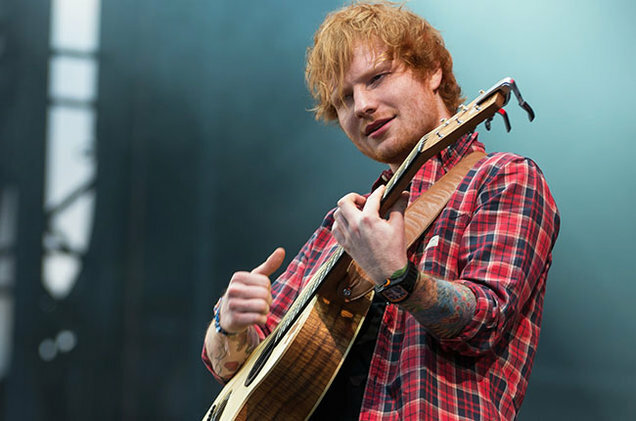 Sheeran was accused by songwriters Martin Harrington and Thomas Leonard, and their publishing company HaloSongs, of plagiarising their 2009 song ‘Amazing’. The song ‘Amazing’ was sung by Matt Cardle, who was the X Factor winner for 2011. The lawsuit alleges that Sheeran copied an “astounding” 39 notes from the chorus of ‘Amazing’ in his song ‘Photograph’. “This copying is, in many instances, verbatim, note-for-note copying, [and] makes up nearly one half of Photograph,” the songwriters said in a complaint lodged in the US in July. Naturally, Harrington and Leonard are pretty angry about this, saying that Sheeran and his songwriting partner, Johnny McDavid of Snow Patrol, have “copied and exploited, without authorisation or credit … on a breathtaking scale”. Dennis Collopy, a senior lecturer in the music industry at the University of Hertfordshire, commented on the case in a statement. “When it comes to pop music, it’s very hard to be completely original and successful at the same time,” Collopy said. His own research showed that a quarter of No. 1 hits in the last 60 years in the US have been written in the G chord. Clearly as listeners, we know what we like and songwriters are tapping into that, even if it means sometimes taking other people’s music. The lawsuit also said that the similarities between the two songs are “instantly recognisable to the ordinary observer”. I would like to confirm that I am an ordinary observer, and despite having heard ‘Photograph’ countless times, I never properly listened to the guitar notes that make up the chorus until these allegations came out. They do sound pretty similar and it makes sense as to why Sheeran would want to settle this matter out of court. Check out the songs below and see if you hear anything similar.